SaferVPN is VPN service provider based in Israel. 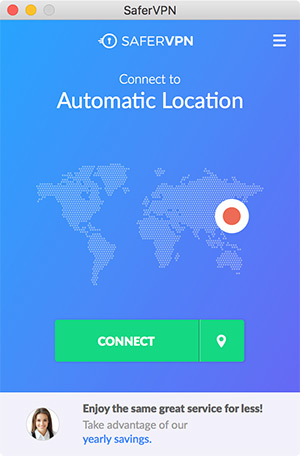 In this SaferVPN review, we will cover SaferVPN’s features, server locations, security, price, connection speed and customer support etc. P2P and torrenting only allowed on Netherlands server. Free Trail: 30 day money back guarantee. SaferVPN has 700+ servers in 35 locations, including USA (East and West), UK, Netherlands, Australia, Austria, Brazil, Canada, Denmark, Finland, France, Germany, Hong Kong, Israel, Italy, Japan, India, Norway, Poland, Russia, Singapore, Spain, Sweden, Switzerland etc. SaferVPN supports the following VPN protocols: IKEv2, OpenVPN, PPTP and L2TP. SaferVPN offers unlimited speed and unlimited server switching. SaferVPN allows torrents for their Netherlands server only. SaferVPN doesn’t keep user logs, thus making it a good choice if online privacy is an important concern of yours. For simultaneous connections, SaferVPN allows up to 5 devices. 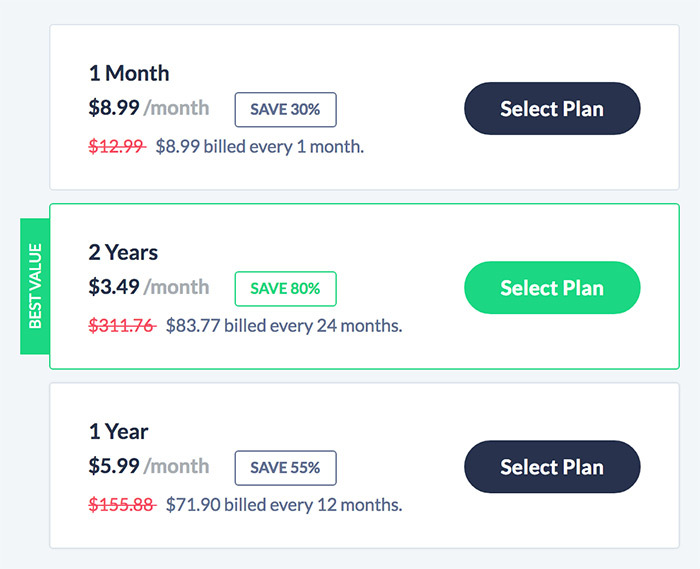 SaferVPN’s price starts from $3.49/mo (if you pay for 2 years). If you pay for one year, NordVPN’s price is $5.99. If you pay month-by-month, the price is $8.99/mo. SaferVPN offers a 30 day money back guarantee for users to test out their VPN service. SaferVPN provides free VPN software for Windows, MacOS, iOS, Android etc. In addition, its VPN can be set up manually on the these operating systems and devices along with routers, Linux and Chromebook etc. 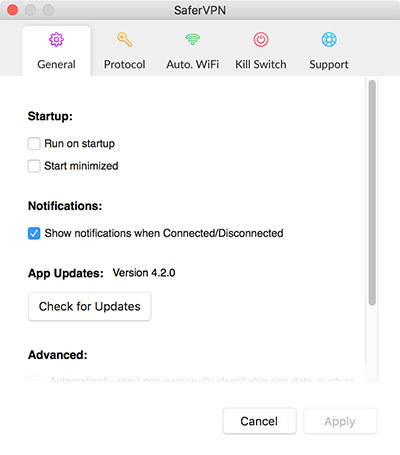 With SaferVPN’s client software, users can connect/disconnect VPN, as well as to choose server locations and switch between different VPN protocols. We found SaferVPN’s software is very user-friendly and very easy to use. Ping: 1 ms, Download: 53.67 Mb/s, Upload: 93.52 Mb/s. Ping: 7 ms, Download: 43.54 Mb/s, Upload: 57.41 Mb/s. Ping: 121 ms, Download: 7.15 Mb/s, Upload: 6.11 Mb/s. Ping: 214 ms, Download: 4.85 Mb/s, Upload: 15.35 Mb/s. On SaferVPN’s website, there’s a live chat window where you can connect directly to its customer support team. We tried using this method to get support and we were able to connect to a support representative immediately. We were able to get our questions answered using live chat. 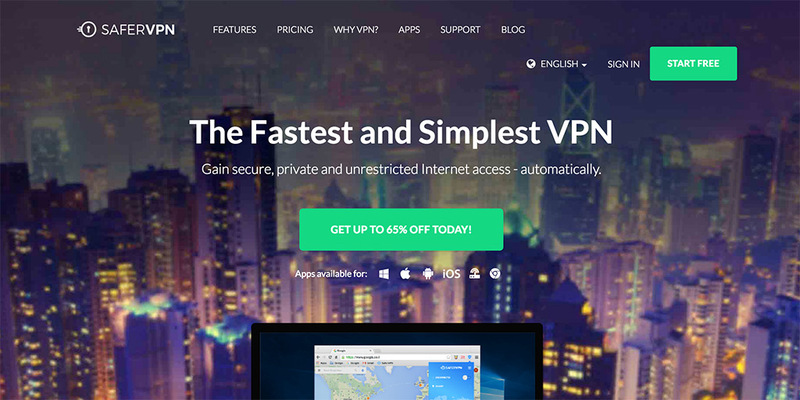 SaferVPN provides stable VPN connections, fast VPN speed, multiple worldwide server locations and easy to use software. Their customer support is very responsive and helpful. If you are shopping for a VPN service, you can consider SaferVPN.